When you’ve completed contract or subcontract work on a property that you have not been paid for, it’s important to file a mechanic’s lien claim as soon as possible so that you can receive payment as soon as possible – or at all. If you’re hesitant to file a mechanic’s lien claim, don’t be. It is both your right and your responsibility to keep track of who has and has not paid you for your services so that you aren’t losing money on your work. 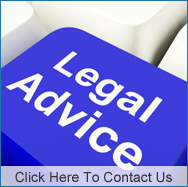 If you find that you haven’t been paid and require assistance completing and filing a mechanic’s lien claim, Kallemeyn and Kallemeyn can help you along the way, walking you through the process and standing by you in the event of further legal action, including providing you with legal aid in the event of a lawsuit. With any luck, the issue will be resolved long before a lawsuit is necessary, but we want to be sure that when you file a Minnesota mechanic’s lien claim for work in Anoka County or Hennepin County, you have a successful experience from start to finish. You must send preliminary notice prior to the start of construction work that you may file a lien if you are not paid for your work. You must send a “prelim,” or notice of an intent to file a lien claim, that identifies the contractors and subcontractors involved in the particular project that was left unpaid. You must send a timely and accurate lien statement following completed work – that means that you should waste no time in filing your lien claim if you intend to, as your claim may not be accepted if you wait too long. You must begin a mechanic’s lien lawsuit within one year of completing your construction work in order to pursue further legal action. When thinking of the requirements and complications that could be involved in filing a mechanic’s lien claim , you may be wondering, “why should I file a mechanic’s lien claim?” Although a lien claim can become complicated, at Kallemeyn and Kallemeyn, we want to make the entire process as simple as possible so that you can receive all of the benefits of a lien claim. These benefits include: making it difficult for a property to exchange hands because of a note of lien on the title, flagging liens on properties for lenders, setting a firm deadline for payment, and more. If you’re in need of a mechanic’s lien claim for Anoka county or Hennepin County, MN, contact our lien attorneys today at 763) 427-5131 or charles@kallemeyn.com.